Laura Schwamborn is the Associate of Giving Strategies at the Community Foundation. In this role, she provides support to the individuals, families, foundations and organizations who entrust the Community Foundation to make their unique charitable goals a reality. 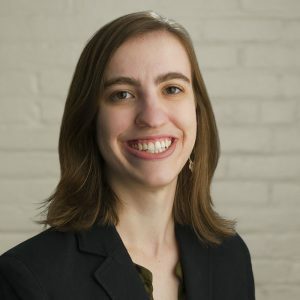 Laura regularly corresponds with clients about their funds and efficiently manages the gift and grantmaking processes. Prior to serving in this position, she worked at the Community Foundation as the Assistant of Giving Strategies for almost two years, providing administrative support for the Executive Vice President and Giving Strategies Team. Laura received her B.A. in Business Administration from Saint Mary’s College. She is a volunteer at Beechwood Continuing Care, a nonprofit dedicated to senior citizens.